Dianne Feinstein sees possible obstruction of justice case against Trump on the horizon. Sen. Dianne Feinstein leaves the Senate Chamber after a vote on Capitol Hill, May 17, 2017 in Washington, D.C. The “four indictments and pleas” Feinstein is referring to how Trump’s former campaign manager Paul Manafort and his partner Rick Gates were indicted in October while former national security adviser Michael Flynn and former campaign advier George Papadopoulos pleaded guilty to lying to the FBI. Feinstein, the top Democrat on the Senate Judiciary Committee, said that the obstruction of justice case can be seen “most importantly” in the firing of James Comey as FBI director. “It is my belief that that is directly because he did not agree to ‘lift the cloud’ of the Russia investigation. That’s obstruction of justice,” she said. Although her words are strong, Feinstein never actually says that there is an ongoing case against Trump, just that she’s looking at how things could develop. It is significant, though, that she appears to confirm the Judiciary Committee is looking into possible obstruction charges. Feinstein also expressed increasing concern about Trump’s ability to do his job. “I’ve been here for 25 years now, um, there is a kind of instability, unpredictability,” she said. “It’s one issue after the other. We’ve got major problems in the world with our allies now, in the Middle East, with North Korea. It goes on and on. 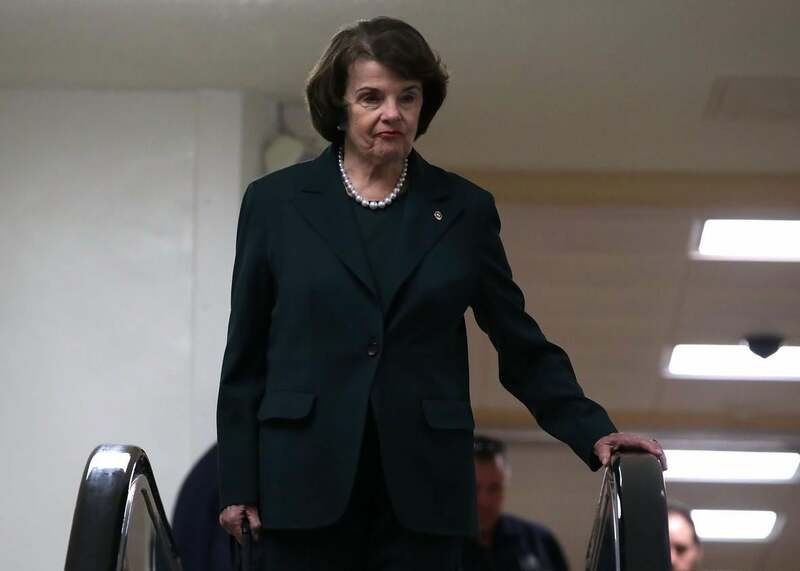 And I think that this president is just precipitating more and more angst that’s going to lead to serious discord.” Feinstein said that she hit her “enough is enough moment” about a month ago, although she can’t pinpoint to a particular event that made her switch positions.